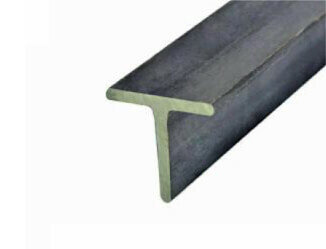 Mild steel tee bars are extremely strong and durable. They are available in 6 metre lengths, a variety of dimensions and can be cut to specified lengths. For prices and sizes available, give us a call or fill in a request a quote form. Mild steel tee bars can be utilised in a wide range of applications but in construction they are often used for edging and bridging. These bars are used in high strength applications due to the fact that the steel fabrication is specifically designed to bestow strength in the section. The workable nature of mild steel results in a strong steel section that can also be used to join beams and create edgings. These tees are quintessential in terms of reliving vast amounts of exerted pressure. South West Steel offers a wide array of Mild Steel products including sections, plates, bars, beams and other products such as pipework and handrailing. If you are looking for these products and wish to see dimensions and prices then do not hesitate to contact us today for a free quotation.